Apple’s iPad and other tablets are taking over the market very fast. The struggling computer manufactures seem to be preparing to make an effort to get back into the market with a large number of Ultra-thin laptops in the market as they are preparing for the next weeks Computex Show to be held in Taiwan. The Computex show is the world’s second largest computer show, which is expected to display more than a dozen Ultrabooks with sizes varying from 12inch to 17inch powered by Intel’s new generation Ivy Bridge processors. There might even be some hybrid models that will feature a touchscreen too. After the release of the iPad and other tablets the computer market has been affected directly. The Taiwan based companies like Acer and Asus has also been forced to become the fourth largest PC vendor from second position. Asus has also reached to the fifth position. 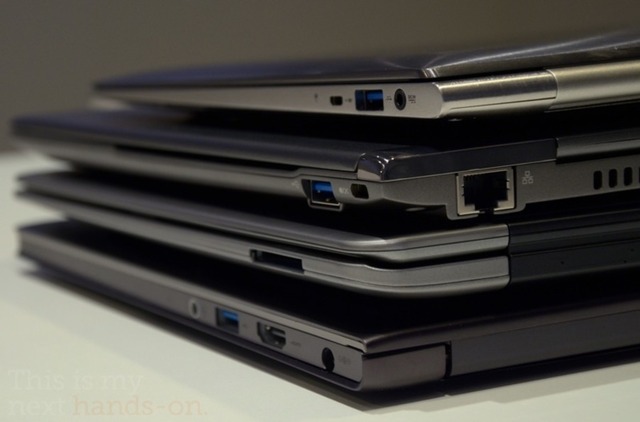 It seems like that the Ultrabooks are the last hope for the computer manufacturers, if the tablets sales continue to exceed like this then it is expected to overcome the computer market by 2016. The Ultrabook’s success also depends on the Ivy processors which allow more power and more power efficient along with the Microsoft’s Windows 8 platform. According to Henry Wang of Acer, the Ultrabook sales are gaining momentum which is going to exceed with the Windows 8 and the touch experience which make it a bit similar to the tablets. The research firm Gartner Inc., also expects a gain of 4.4 percent in 2012 after shrinking 1.4 percent in 2011 in a global market. 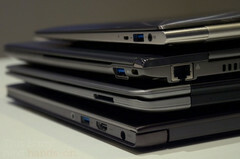 It is also expected that the prices of the Ultrabooks fall from $1000 to $800 by the second half of this year. Taiwanese manufacturers produce more than 90 percent of the laptops sold in the world for brands like Apple, HP and Dell.